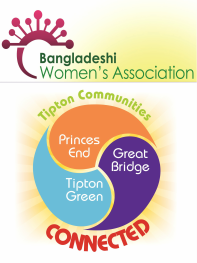 The Bangladeshi Women’s Association Limited (BWA Limited) is a successful community led organisation based in the Borough of Sandwell. Encountered with multiple deprivation, the association was established in 1984 by a group of enthusiastic women who wanted to meet the social & economic needs of their disadvantaged peers, young people, and families. In 1985 BWA Limited started its activities initially taking the issues of social exclusion, poor access to community facilities and services, women’s and child rights through a community development approach. Today, the association is a formally constituted, community led, charitable company committed to delivering community led regeneration in the alleviation of inequality, poverty and deprivation from Sandwell. Improving the quality of life of residents in Tipton and the wider Metropolitan Borough of Sandwell. Provide residents access to advice information and training whilst providing a central venue for all groups to get more connected, empowered and confident to have a real stake in the sustainable regeneration of deprived neighbourhoods. Increase access to high quality information advice and guidance enabling residents to make informed choices. Increase skills and learning abilities of residents to improve socialising, employment and income generation. Increase communication and strengthen citizenship by promoting pride of place and a sense of shared future amongst all residents. Increase psychological and physical well-being of residents particularly for women and the elders in the community. In April 2010 the Bangladeshi Women’s Association was successful in being awarded the matrix quality standard for information advice and guidance services. In the same year the organisation was awarded the Quality Mark for General Help Services which is associated with the Community Legal Service and has held the Legal Services Commission Quality Mark Standard since 2003.